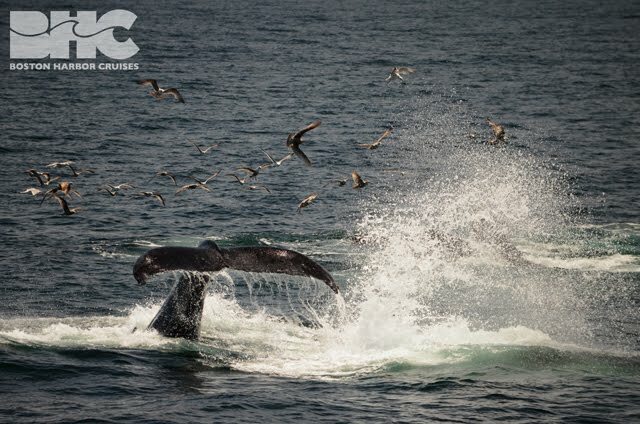 We enjoyed another glorious day whale watching this morning on the Salacia! Although we had to extend our search for whales a bit further east than usual, there were plenty to be found! 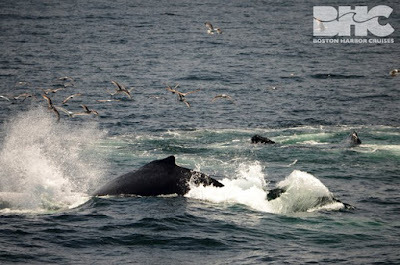 Near the the eastern edge of the bank, north of the southeast corner, we found a multispecies feeding frenzy! 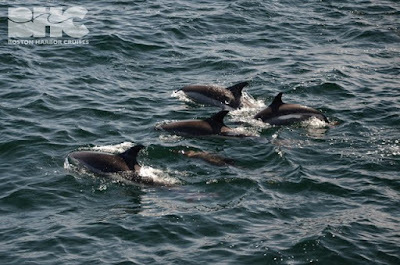 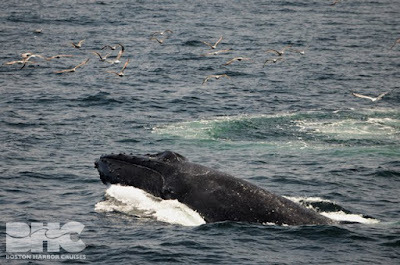 Humpbacks, fin whales, and dolphins alike feasted their hearts out on a plethora of sand lance as birds hovered overhead, hopeful to snag some scraps. Animals of all sizes competed for their catch, overlapping in time and space, so much so that, at one point, I thought a fin whale had created a bubble net! 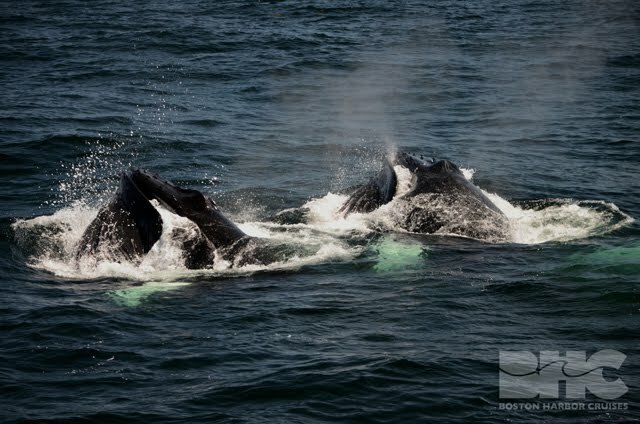 We spotted a few familiar flukes among the humpbacks including Viking, Basin, and Pinch. We observed fin whales lunging powerfully across the water’s surface alongside kick feeding and bubble netting humpbacks. 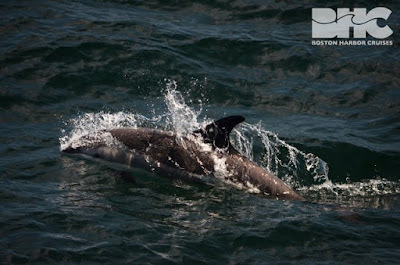 All the while, dolphins weaved in and out of the chaos appearing carefree and majestic as always. Guests were treated to some exceptional views into the mouths of humpback whales today, an opportunity not had by many. 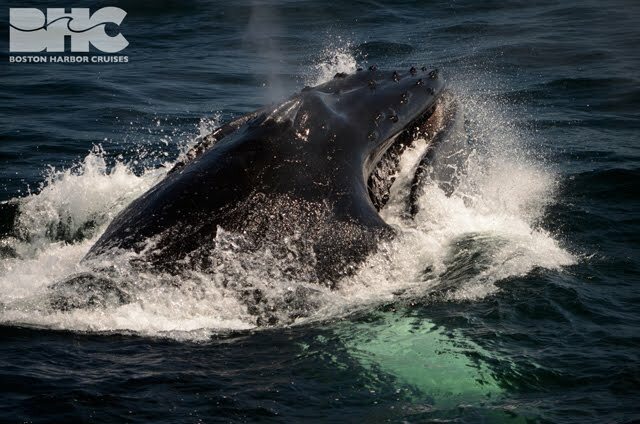 On three occasions a trio of humpbacks unexpectedly lunged nearly into the side of the boat without the usual bubble net precursor. I suspected that perhaps the fish were just beneath the boat, and Captain Matt kept us floating along as we waited for the humpbacks to pounce on their prey beneath us. We cruised back to Boston across glassy calm waters while enjoying one of our first warm spring days here in New England!